Avalon, this is a word that if you are a Southern California dancer should be no stranger to you. If you aren’t (or are behind the times, tsk, tsk) allow me to explain. 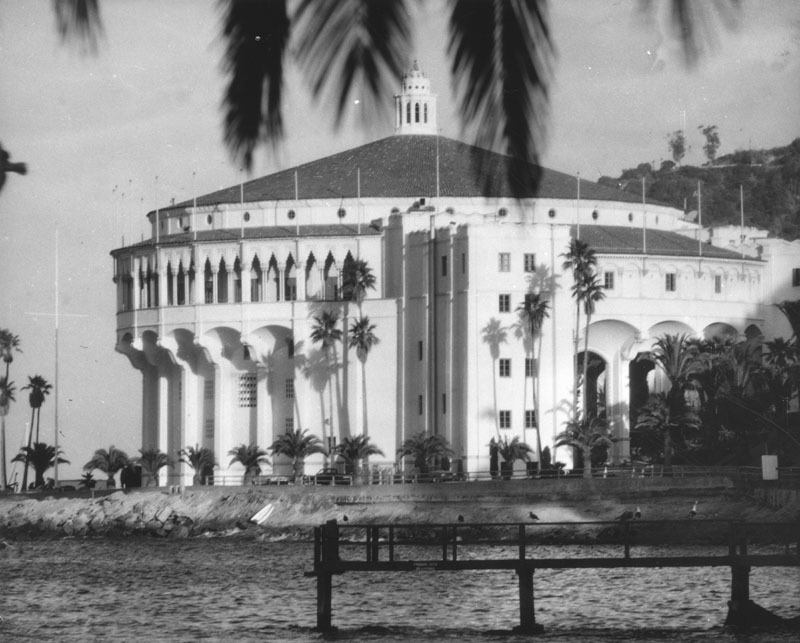 Avalon is a historic city on Santa Catalina Island (often shortened to California locals as Catalina Island), in California, that contains one of the most beautiful ballrooms, The Casino Ballroom in the United States. This picturesque location is immortalized in a jazz standard with the same name as the city, ‘Avalon’. Originally Santa Catalina Island was inhabited by the Gabrielino/Tongva Native Americans, until about 1930 when most of them died off or migrated to the mainland for work. However in 1887 a gentleman by the name of George Shatto purchased the island for $200,000 with the intentions of developing it into a resort town. According to wikipedia: His sister-in-law Etta Whitney came up with the name Avalon, which was pulled as a reference from Alfred, Lord Tennyson’s poem “Idylls of the King”, about the legend of King Arthur. Avalon (probably from the Welsh word afal, meaning apple; see Etymology below) is a legendary island featured in the Arthurian legend. It first appears in Geoffrey of Monmouth’s 1136 pseudohistorical account Historia Regum Britanniae (“The History of the Kings of Britain”) as the place where King Arthur’s sword Excalibur (Caliburnus) was forged and later where Arthur was taken to recover from his wounds after the Battle of Camlann. Avalon was associated from an early date with mystical practices and people such as Morgan le Fay. 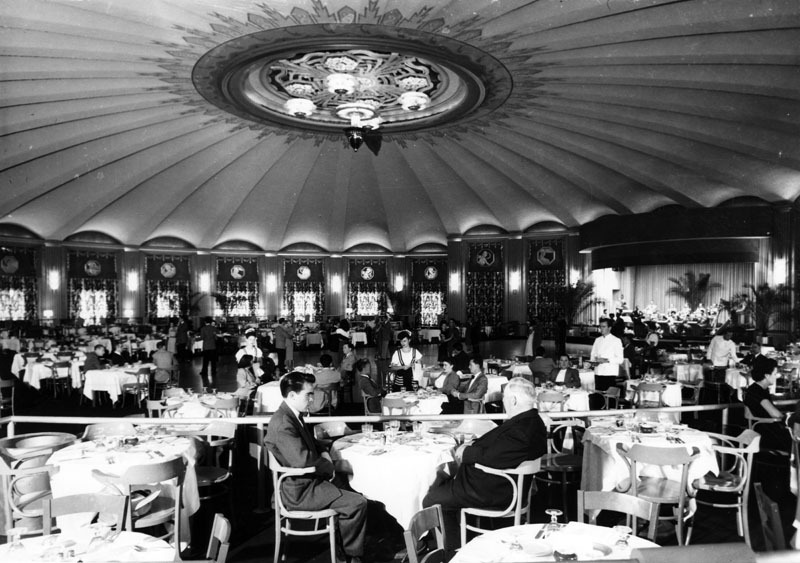 The ballroom dance floor was carefully constructed of maple, white oak and rosewood that rest on a layer of felt and acoustical paper. The felt and paper are installed over a subfloor of pine that floats above the support beams on strips of cork. Such careful attention was given to the dance floor to ensure a smooth and comfortable dancing experience for the building’s many visitors. This part of the post is what I am assuming most swing dancers would be familiar with, the jazz standard known as ‘Avalon’. 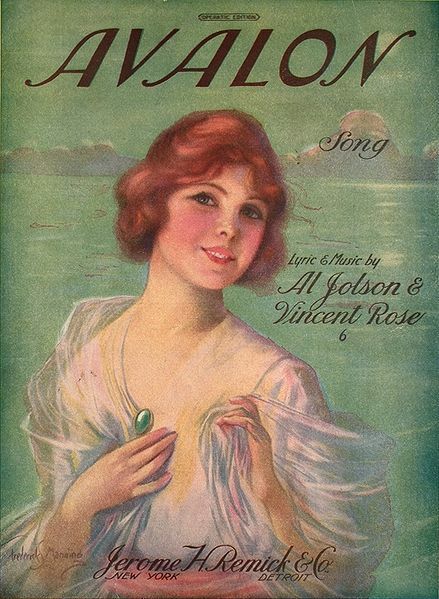 It was a 1920 popular song written by Al Jolson, Buddy DeSylva and Vincent Rose. In the original lyrics of the song there are two versus and a repeated chorus, though in most performances of the song that are non-instrumental only the chorus is frequently sung. 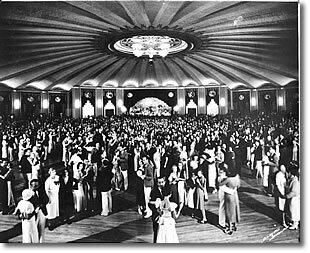 The Casino Ballroom at Avalon is still used by the Lindy Hop community. 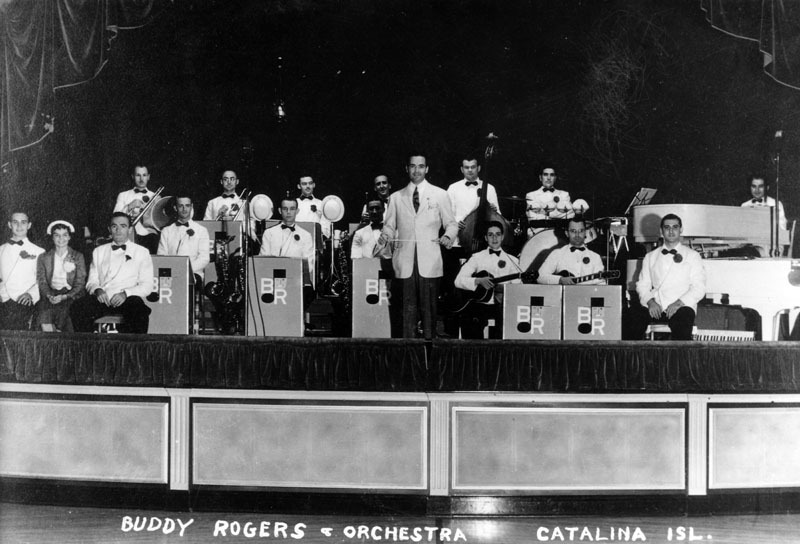 Small events are sometimes sponsored there, but it is most notably featured by the Catalina Jazz Dance Festival. When I think of Avalon I get slightly nostalgic because of the history and meaning the place has in a myriad of ways. The song ‘Avalon’ is one of my favorite songs to Balboa to and for myself as a Southern Californian brings memories of home when I am away. If you have any particular; thoughts, details I missed, or even fond memories of the place, I encourage you to share them in the comments section. If you get the chance I encourage you to travel on, to Avalon. : Otte, Stacey; Pedersen, Jeannine (2004). “Catalina Island History”. A Catalina Island History in Brief. Catalina Island Museum. Retrieved January 8, 2012.
: Williamson, M. Burton (December 7, 1903). 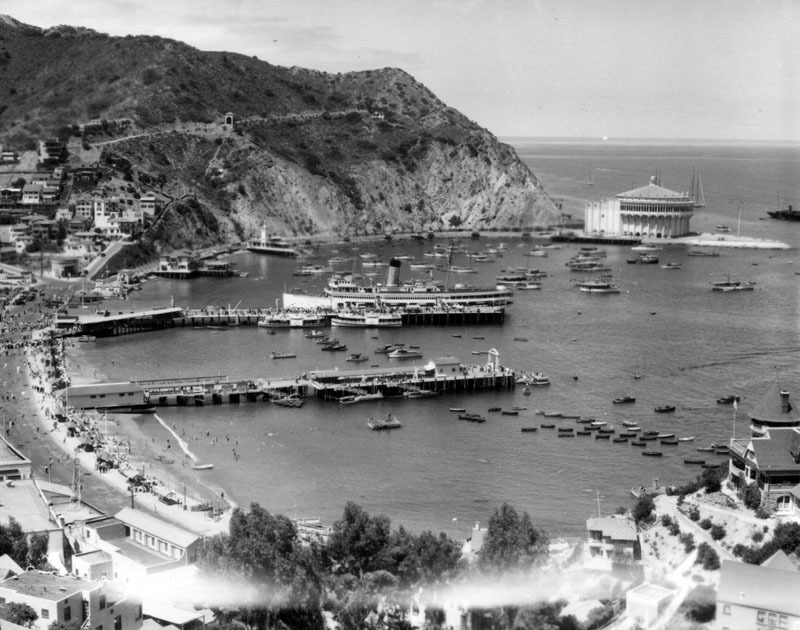 “History of Santa Catalina Island”. The Historical Society of Southern California (Los Angeles: George Rice & Sons): 14–31. Wrigley Buys Catalina Island”. Los Angeles Times: pp. II1. February 13, 1919. Retrieved January 8 2012. McClure, Rosemary (June 19, 2009). “Backstage at Catalina Island’s Avalon Casino”. Los Angeles Times. Retrieved January 8, 2012. This entry was posted on January 8, 2012 by Apache. It was filed under Uncategorized .